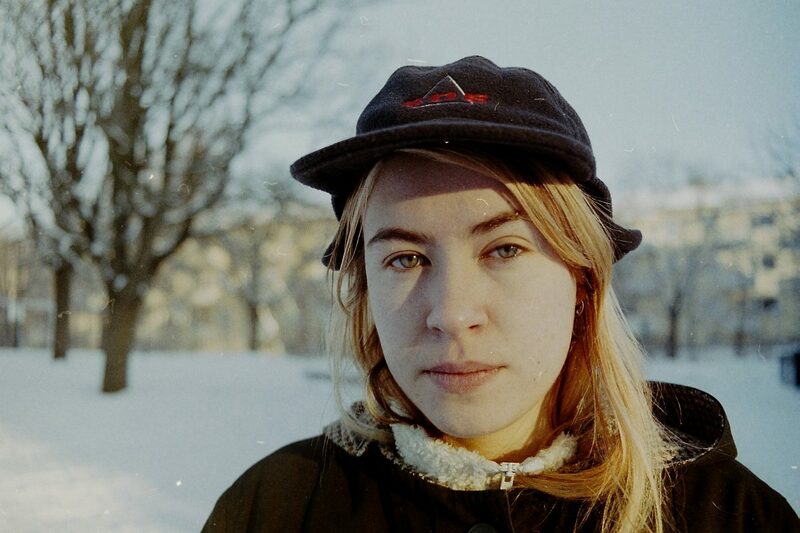 Nora Karlsson is Boys, with a solo career that’s been in motion since 2015, when she released her first EP Kind Of Hurt. With Boys, Karlsson makes moongazing, dreamy but detailed indie-rock, sparkling melodies that drift in and out of fuzzy guitar waves. Her debut album, Rest In Peace, is finally out on Friday, and she’s celebrating it with a release show at Scalateatern. We caught up with her for a few questions ahead of the gig. This album has been coming together for five years, with The End Of Time being a song you started writing when you were 17. How does it feel to finally get it out? It feels good to get it out, but at the same time very scary and also sad in a way. I am leaving something that I have been thinking about for years and now when it’s done everything feels kind of strange. I am scared of what people are gonna think of the record, I’m gonna have to stay away from reviews and stuff like that because I am very sensitive when it comes to what people think of my music. I wish I was more confident in myself and what I do but it is hard for me. But apart from all these sad and anxious feelings I feel exited and happy, and very thankful to have been able to do this! Why the title Rest In Peace? It just came to me and it felt right, and after I decided the name I realised that I sing about death on like half of the songs on the record. But I don’t have a good answer to that, I just knew I wanted it to be called that. How do you, personally, feel your song has developed since the earlier EPs? The main thing is the production. Before I recorded everything in our rehearsal space and mixed it by myself for the most parts. This record was recorded in Studio Cobra and produced by my very good friend Hannes Ferm, and the whole process of putting it together has been totally different from before. I don’t think one of the ways is better than the other, for my next album I think I want to do both. The songs themselves have changed a bit too I guess, but I don’t really know how, just by learning and experiencing more I think. Your songs are incredibly open lyrically, holding nothing back even to the point where you walk in on a dead body on Hemtjänsten. Do you think that’s a central part of your identity as an artist? I think writing lyrics is the absolute hardest part of song writing and I’m almost never happy with them, so it means a lot for me when other people say they like it or that they can relate or whatever. As I’ve never seen myself as someone with strong lyrics I have never thought of it as a central part of me as an artist, but I’m happy if other people can appreciate what I write! Finally, what can we expect from the release show on May 11? Well, it’s gonna be a party, possibly the party of the year. Holiday Ghosts are coming all the way from Falmouth to play and its gonna be so great, cos they’re great. Henrik Appel is doing a solo set which I know for a fact is gonna be beautiful. Then you can expect a super nervous and happy birthday girl, which is me. We are also playing, the first show with this setting and almost a whole new band. New songs and new feelings. I hope there is gonna be cake. Boys’ debut album Rest In Peace is out on Friday, May 11 on PNKSLM. (But you can listen to it on a pre-stream via GorillavsBear). Boys at Scalateatern, May 11, 19:00-23:59.